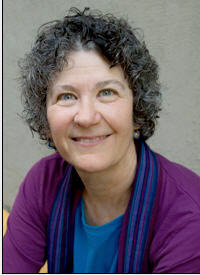 Ellen Meeropol is the author of the forthcoming novel HOUSE ARREST (Red Hen Press, Feb. 2011). She will be a member of the panel Bringing Characters to Life. Tell us about your decision to talk at WriteAngles about the challenges of writing about characters who are evil. Why are evil characters a challenge for you? Writing a really bad guy is a new challenge for me, one I’m facing right now in revising a novel manuscript. Tobias is my first true villain. I’ve written unpleasant characters before – characters who were annoying and untrustworthy and did things that made life harder for the protagonists – but this man does evil things and he scares me. So I’m fascinated by the challenges of making him “round,” of figuring out how to develop him to be as complex, as morally ambiguous, and as fully human all major characters need to be. In a broader context, I think we read and write for many reasons – to be entertained, to have vicarious experiences very different from our own lives, to bear witness to the wonderful and terrible aspects of being human, and to understand our lives and our world more deeply. There are evil-doings in our country and our world, such as corporate greed and racism, extreme poverty, and genocide. I think that sometimes evil can be personalized in a character in a way that adds depth and gravitas to our writing; that can be a way of illuminating something profound about human experience. You mention on your website that you’re a relative late-bloomer as a writer. What made you decide to leave your previous career as a registered nurse and nurse practitioner to devote yourself to your writing? I thought about writing fiction for years. I scribbled ideas for stories on scraps of paper and put them in a drawer. I’m a voracious reader and increasingly over the years when I finished a book I’d either think, “how hard could that be?” or “wonder if I could do as good a job?” In 2000, when I was arranging a mini-sabbatical so that my husband could have space for a major writing project, it occurred to me that it was also a perfect opportunity for me to try writing fiction. We spent two months in a rented cottage on an island off the coast of Maine, both of us writing, and by the end of that time I was totally hooked. I started taking workshops and writing every free moment. In 2005 I took an early retirement from my nurse practitioner job so I could write full-time. Congratulations on your forthcoming novel, HOUSE ARREST. What kind of journey did you go through to write the novel and get it published? HOUSE ARREST is actually my second novel. The first one was a story I care about very deeply, but it was too big, too hard for me as a new writer. After three or four drafts I put it away and in early 2004 I enrolled in the Stonecoast MFA program at the University of Southern Maine. I decided to start a new project while I learned more about the craft of fiction and that new project was HOUSE ARREST. It took me over a year after finishing the MFA to revise the manuscript and sign with an agent. She was unable to sell it to a “big” publisher and gave it back to me, suggesting that it was probably a “small press” book. It took another year to query small presses before I found Red Hen Press and they offered to publish the novel. After editing HOUSE ARREST for Red Hen, I returned to that first manuscript, eager to try once more to get it right. I revised it extensively and then started looking for another agent. By that time, the recession was full-blown and the publishing world had imploded as well. It took fifty queries, with many agents reading my work and passing, before I found the right person to represent HER SISTER’S TATTOO. During that agent search, which took another year, I started writing a third novel manuscript and now, while my agent is sending ‘TATTOO’ out to editors, I’m revising the new one. This story is very different from the first two, sort of a literary political thriller, and Tobias is a rogue FBI agent. Living in his skin and seeing the world through his eyes is a huge challenge for me, as a person and as a writer. Just that in developing Tobias, and in all my fiction-writing challenges, I am very grateful for my manuscript group. We are valued readers of each other’s work and staunch supporters in the isolating and often frustrating process of creating literature.